Jadon Sancho – Who is Dortmund’s New Wunderkind? Borussia Dortmund have added another wunderkind to their squad. The Schwarzgelben announced the signing 17-year-old Jadon Sancho from Manchester City for €7 million on deadline day. Technically speaking Dortmund should have been able to sign Jadon Sancho on a free contract. The winger was under a so-called scholarship contract at Manchester City, which can be cancelled by the player with a one-week notice. Sancho did exactly that last week because Sancho believed that he would not get the necessary playing time at Manchester City. The next step would have been for Dortmund to pay City €210,000 in training compensation. But Dortmund did not want for a possible FIFA or FA arbitration ruling on the transfer and instead opted to negotiate a clean deal with Manchester City. City in the meantime were keen to get a deal with Dortmund done to prevent Sancho from joining an English Premier League rival. Jadon Sancho now becomes the seventh signing for Borussia Dortmund this transfer window. As reported early this month on the Futbolgrad Network Borussia Dortmund have also signed Jeremy Toljan from TSG 1899 Hoffenheim for €7 million and Felix Passlack, who will spend two years on loan in Hoffenheim. 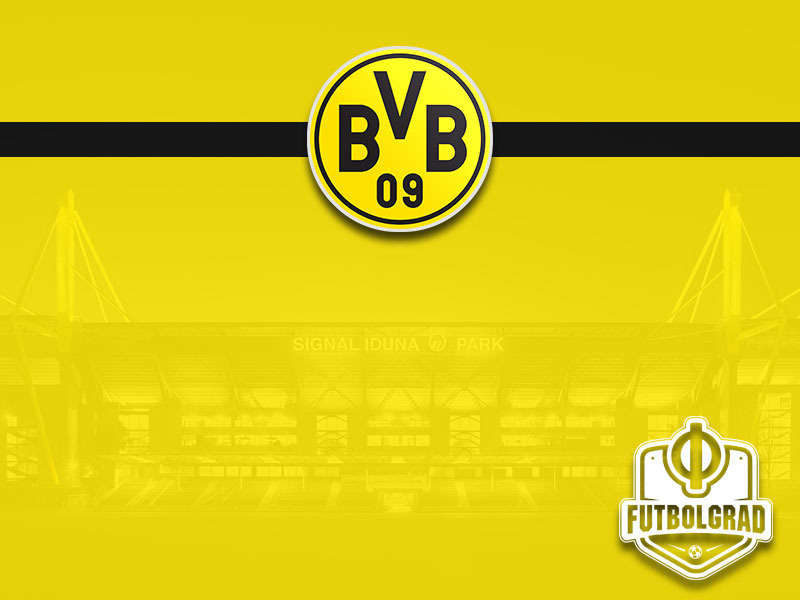 Borussia Dortmund have now invested €76 million this window. A significant outlay, but peanuts compared to the €166 million, which thanks to Dembélé bonus payments could still grow to €206 million, received by selling the likes of Dembélé, Matthias Ginter, Emre Mor, Mikel Morino, Pascal Stenzel and Sven Bender. The money received means that Dortmund had no problem paying above market value for Sancho to forego any possible legal problems. As for Sancho, the move to Borussia Dortmund could become a key step in his still young career. Crowned the best player of the U-17 European Championships scoring five goals in six games for England helping the Three Lions to a respectable second place finish. Quick with a fantastic right boot Sancho will fit well in the football preferred by Borussia Dortmund head coach Peter Bosz. Capable of playing on both wings Sancho prefers playing on the left-wing where his strong foot allows him to cut in and finish off attacking plays. Sancho will now fill in the spot left by Emre Mor, who was sold to Celta Vigo on August 30. Unlike Mor, Sancho is considered a more direct player, who instead of holding on to the ball needlessly prefers a more direct approach. The Futbolgrad Network have been told that there are some comparisons to Manchester City’s Leroy Sané. A fast athletic and direct player with a direct player with rapid pace Sancho will be a much better fit at die Schwarzgelben than Mor ever was.